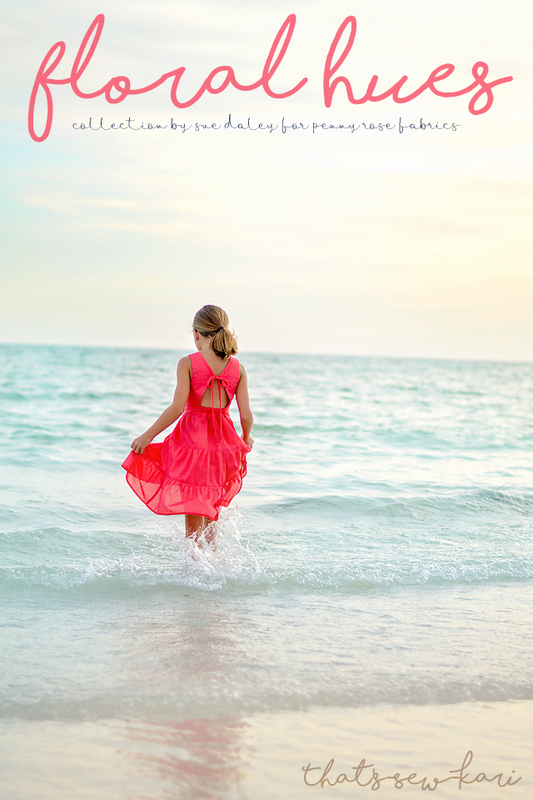 As I readied my family for our biennial beach trip, I decided this would be the year that I brought some brand-new Mama-made and try my hand at beach pictures. Lucky for me, Riley Blake Designs had sent some lovely lawn my way from one of Penny Rose Fabrics' newest lines, Floral Hues by Sue Daley. This gorgeous collection not only has some really pretty soft floral designs, but it also has a stunning chevron design. 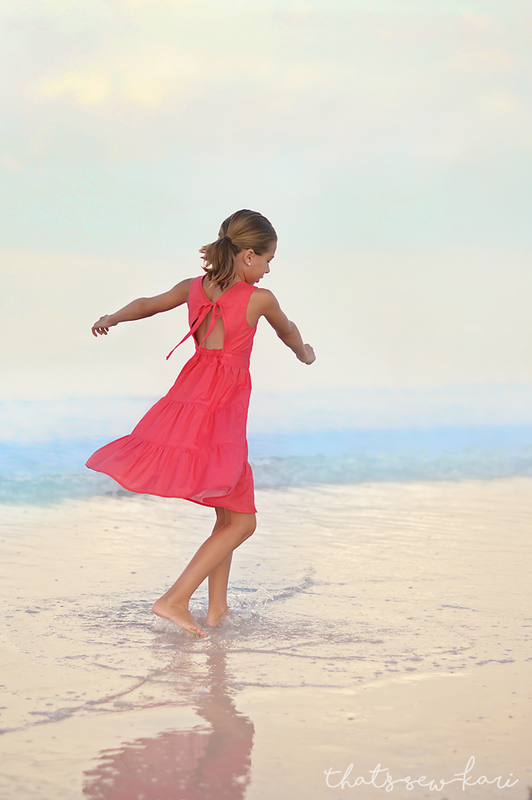 The colors in this collection are light blue, red, pink, grey and yellow. This is 100% lawn so not only is it perfectly lightweight for the summer sun, it's also 52" wide! Instead of choosing the main floral prints, I decided to choose two of the red coordinates ~ Floral Hues Dot Red and Floral Hues Chevron Red. 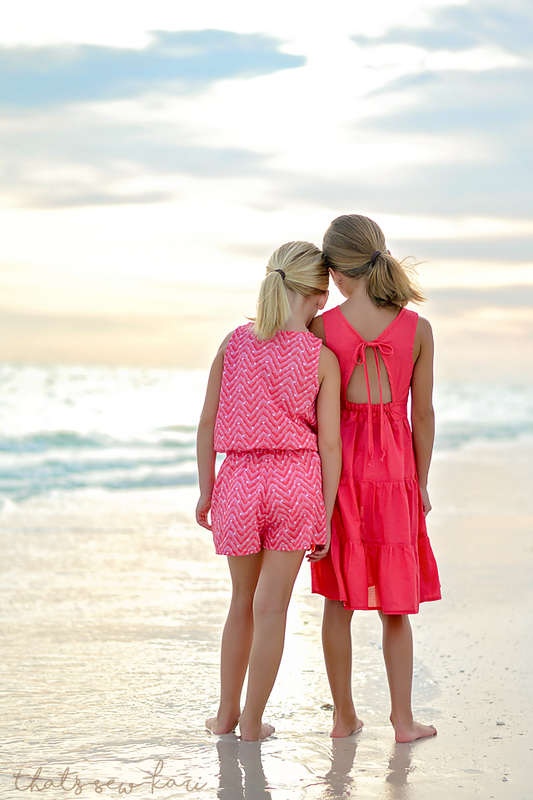 I thought they would compliment the beach and ocean the best. 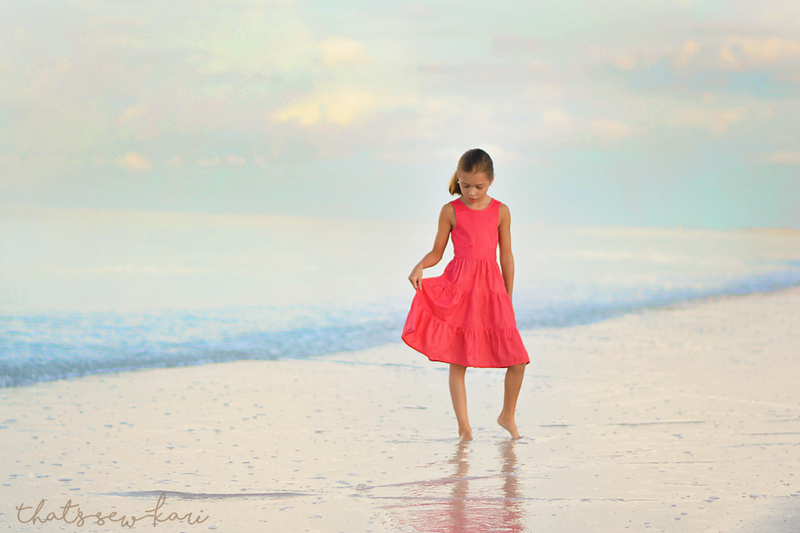 My oldest loved the Floral Hues Dot Red. 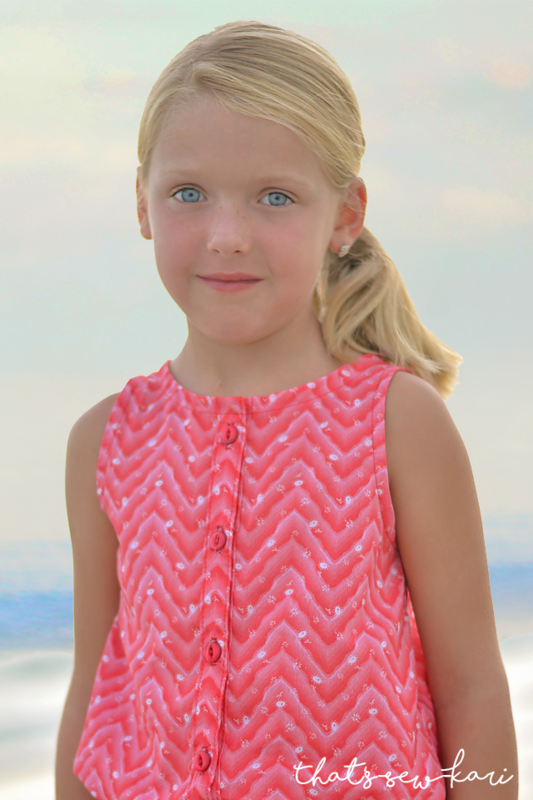 In fact, I had originally picked the chevron for her, but she really wanted the Dot Red. 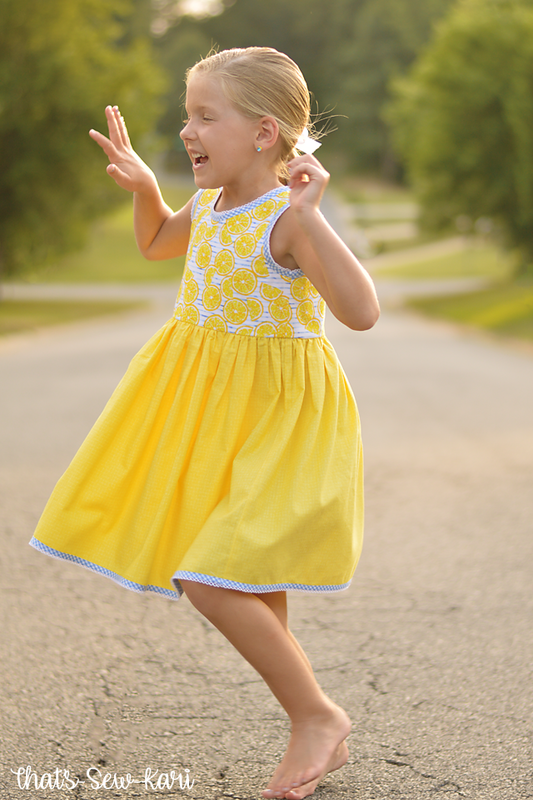 I let her pick her pattern and she chose Mia by Simple Life Pattern Co (affiliate link). I tried to sneak in the chevron in the bands between the tiers and the bias outline of the back, but she was very adamant about her ALL red dress. I am glad I stepped back and let her make the decisions because in the end, she loved what she designed and her confidence was shining bright! 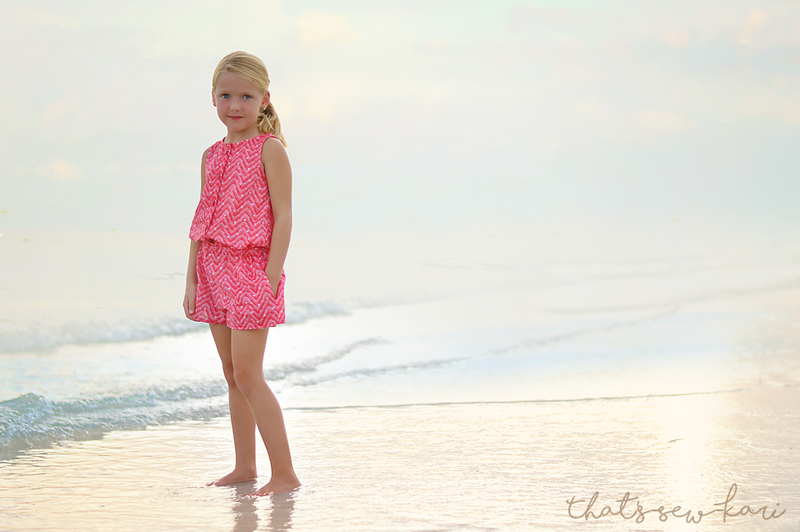 My youngest fell in love with the Floral Hues Chevron Red and chose her favorite romper pattern, the Monterey Romper by Little Lizard King. It specifically calls for lightweight wovens and lawn is the perfect choice. 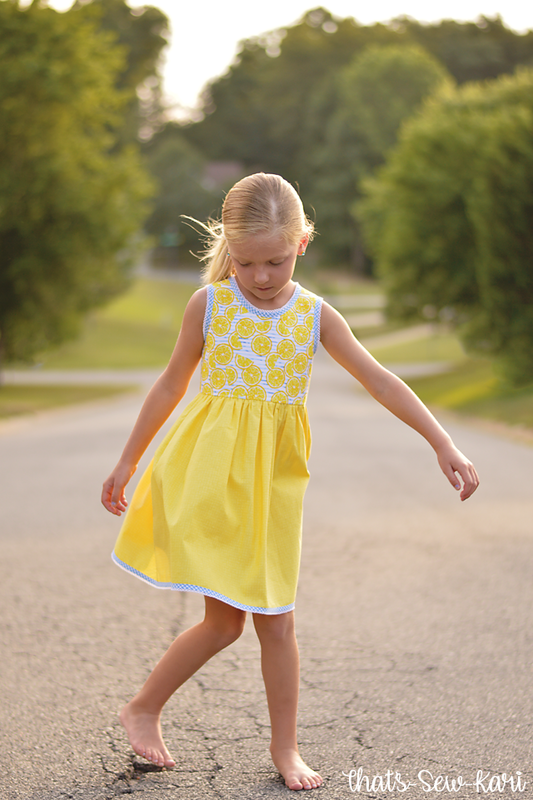 It's light and flowy, yet easy to sew because it's still a cotton. I was itching to try out the split sleeves option, but after I was done, she asked for them to be removed so it could be sleeveless. Happy to let her in on the design process, I happily removed them. Sleeveless really was best for the beach anyway! When I originally chose this chevron, it was to do an entire tutorial post on matching chevron across the seam. However, it's really super simple so rather that dedicate an entire post to it, I figured I'd just slip it in here. 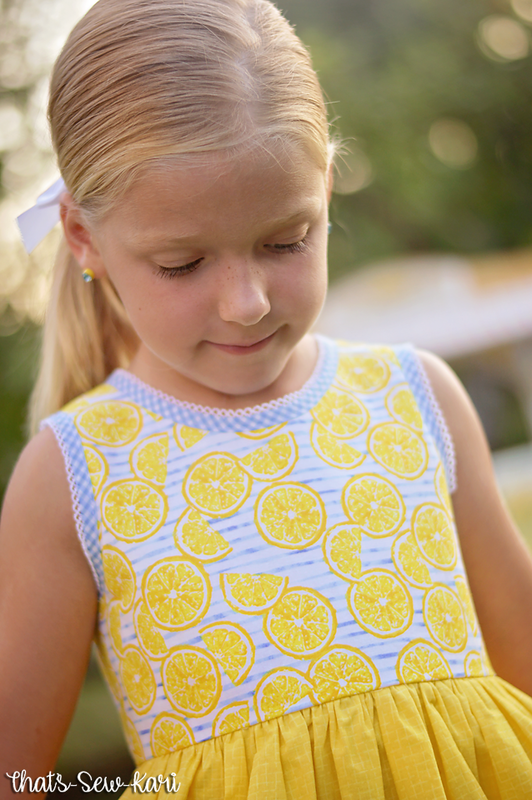 Because your pattern piece will likely never match the repeat of the chevron, the best you can do it mirror image it at the seam line so there are no jagged edges misaligned. That's it! Super simple. Just make sure you pin well too so it stays matched when you are sewing. The front placket took a bit more brain work with this particular pattern, but it was totally worth it!! 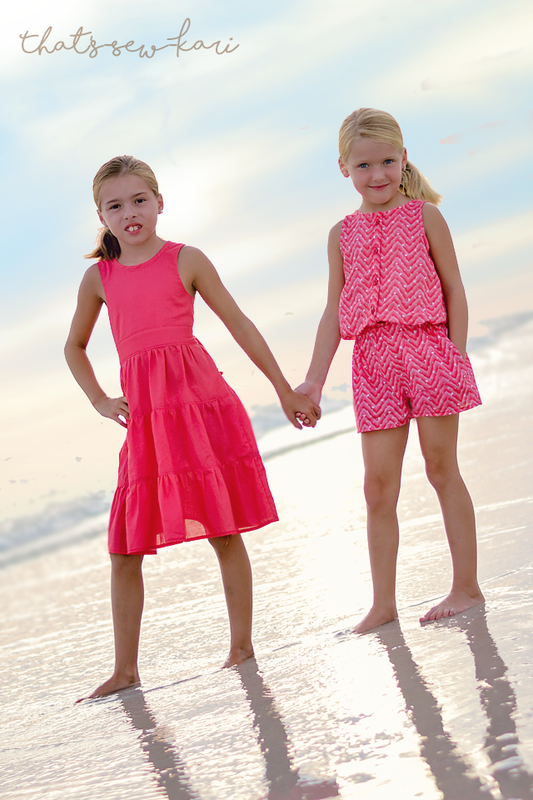 The girls love their newest outfits and I finally got my beach pictures. We ended up going out in the early morning and again later that night because I really wasn't sure which the best lighting would be. 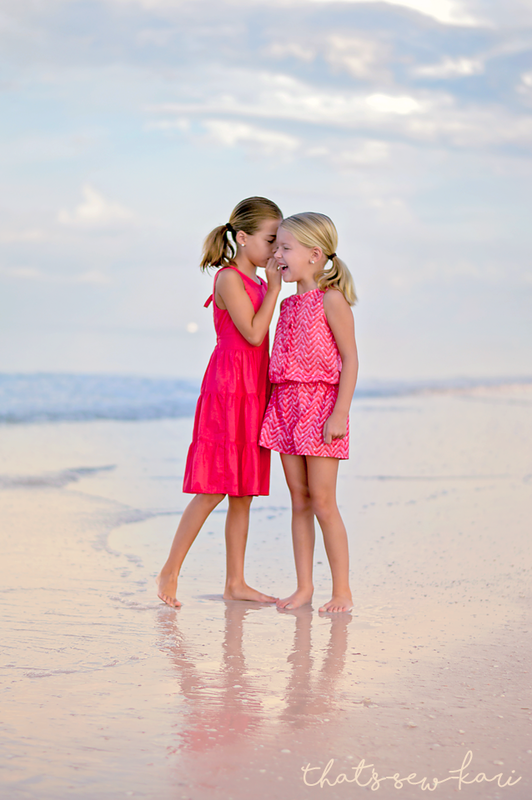 They had fun sharing sweet sister moments -- if only we knew what secrets were being told. HA! 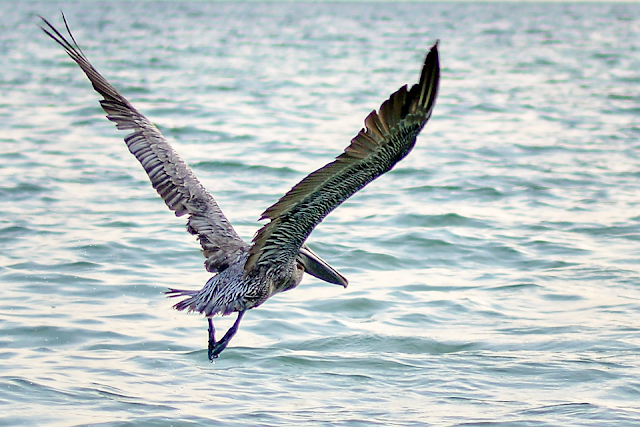 While we were out shooting, we saw a couple amazing creatures! 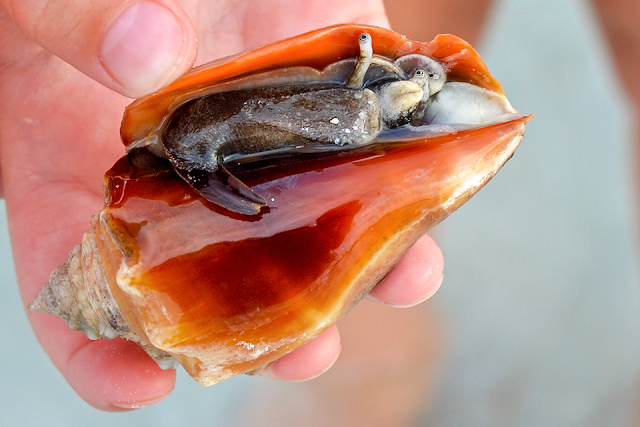 Ahhh, sweet, Summer perfection! I have been absolutely counting down the days until I could share my take on The Providence Top & Dress by Little Lizard King. 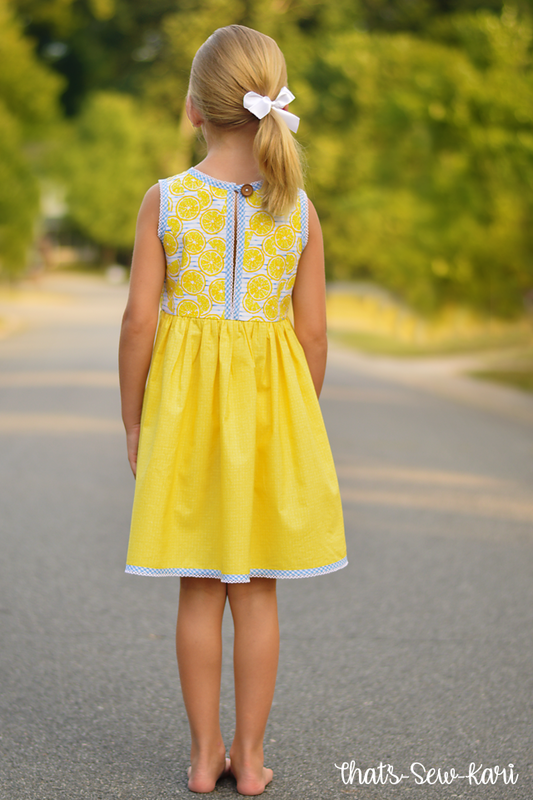 This pattern is simply sweet and the bias trim is the proverbial icing on the cake. 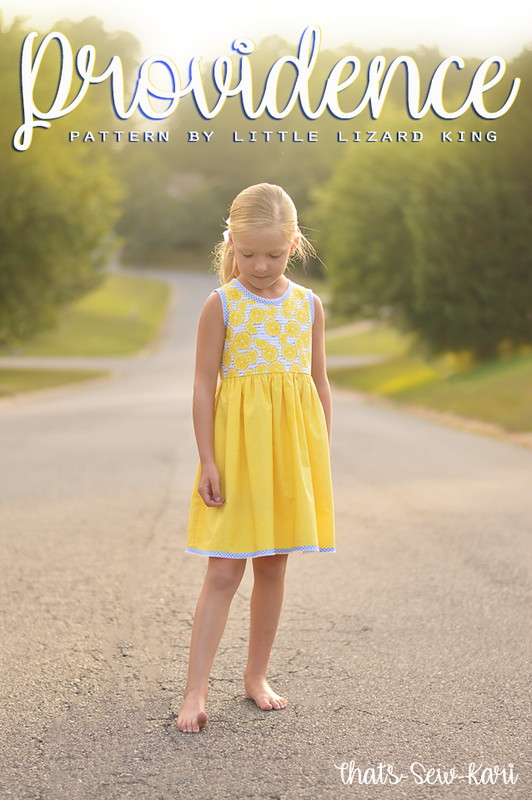 The pattern covers sizes 12m - 14 years. 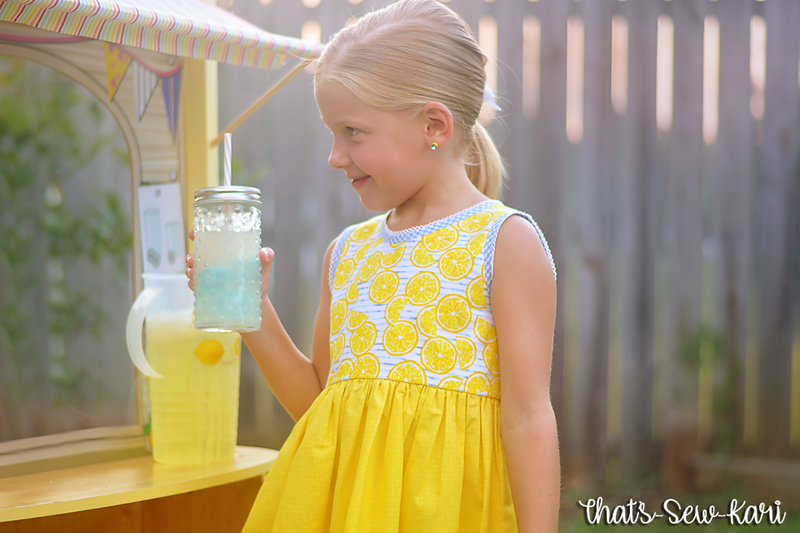 Summer to us is spending our days relaxing, soaking in the sun and drinking lemonade. 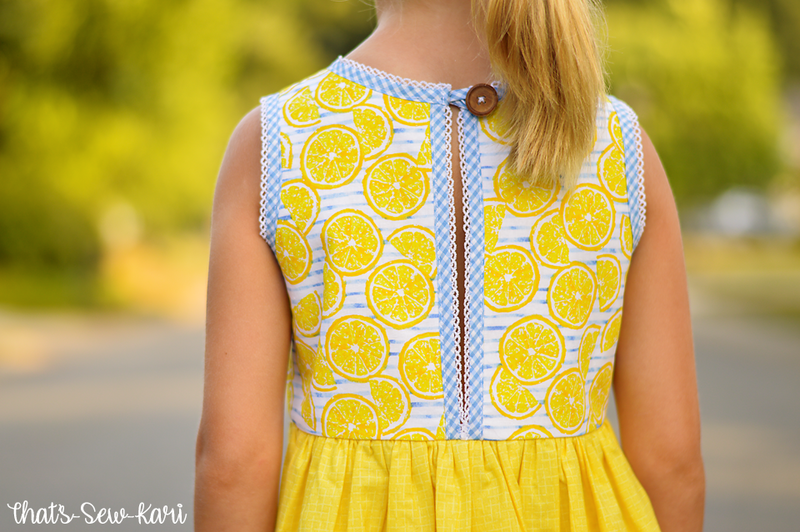 I knew this dress would be perfect to finally cut into my hoarded Lemon fat quarter from Walmart. I was able to cut this 4 width, 6 length bodice from 1 fat quarter and still had enough left to add the pockets if I had wanted. This blue gingham crochet edged bias all the way from the Netherlands has been patiently waiting years to be sewn. I couldn't have chosen a more perfect project. I adore the split back... like seriously in love! The tutorial offers 3 methods for bias tape application. I chose to use one of the two-step methods because I, personally, have not been successful when using the sandwich method. Choose whichever one you like or if you are new to bias tape, try all 3 and see what you prefer.